1) First we need to check whether that site not opening everywhere or only in your machine because sometimes internet won’t work in our machine. 2) After test the site if it’s not working only in your system then you need to make some modifications in DNS Server settings because your DNS sever not able to resolve the IP addresses of the sites you are requesting from browser. 3) Open your network connection properties and set primary DNS and Secondary DNS values which are mentioned below if you don’t know how to setup DNS Sever values check this post Setup or Configure DNS values in windows 7. Actually the DNS values which are mentioned below those are provided by opendns.com. opendns is a dns resolver portal, which is having the names and IPs of millions of sites and updated regularly. Once you set these dns values disconnect your network and connect it and try it will work for you. Thank you. The information was very much useful. 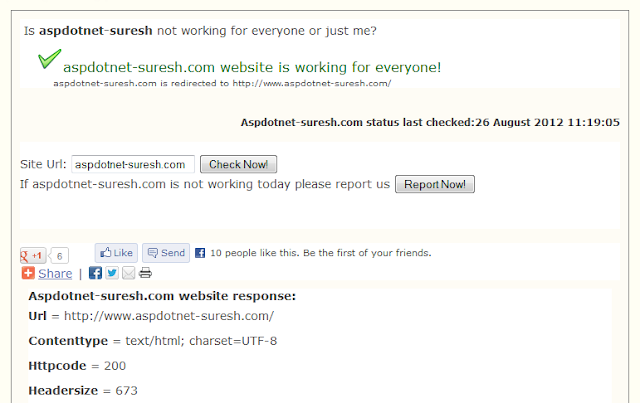 Thanks a lot, Suresh. I was facing this same problem. This post helped me to solve it. 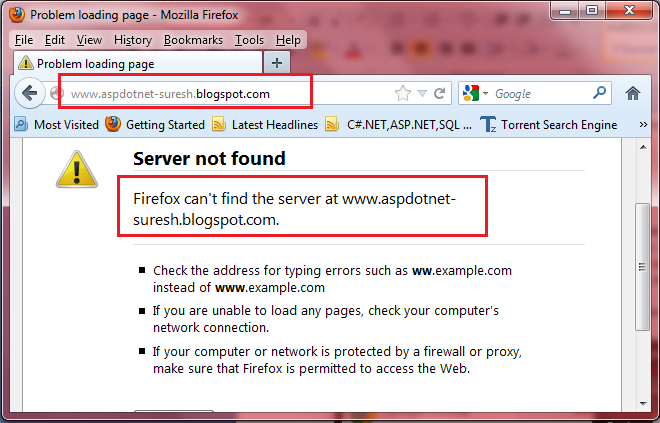 it is not working for me...non of my *.blogspot.com sites are opening. i was struggling with this prb since last two weeks. it has been resolved now after following ur instructions. Thanks a lot. Have been struggling with this issue since long. What are these DNS servers by the way? Who owns and maintains them?